PESHAWAR: Government colleges teachers from Khyber Pakhtunkhwa (KP) went on complete strike on Tuesday in a bid to force the government to review its proposed plans of reforms for colleges, especially over the issues of financial autonomy and running administrative activities of colleges through board of governors (BOG). The teachers, after calling the strike, boycotted classes and wore black arm bands in protest of the government reforms, while faculty corner meetings were also held inside colleges. 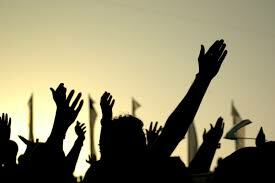 The strike badly affected educational activities in over 150 colleges throughout the province. When contacted by this scribe, Government Science Superior College Peshawar Teachers Association President Emmad Saeed said that the teachers were not wrong in calling out the government’s bluff, which on the pretext of reforms was transferring the administrative power to its handpicked members in the BOG and was further burdening students to meet the financial needs of these colleges. Similarly, he said that former prime minister Shaukat Aziz in 2006 had announced upgradation of college teachers throughout the country, and this decision was implemented in rest of the country except in KP, where implementation of the order was still lacking. He also said that they would continue the strike until their demands were accepted by the officials concerned. The KP Higher Education Minister Mushtaq Ghani could not be contacted for his point of view regarding demands of the teachers’ association, but his assistant informed that the government had delayed implementation of the reforms owing to the strike. However, he said that now the protesting teachers were also demanding upgradation which had put the provincial government in a tight spot. “Due to financial implication, it is hard for the government to accept this demand,” the official concerned remarked. On the other hand, students belonging to different colleges of KP also supported their teachers by arranging independent protests. Earlier, teachers from over 150 colleges went on strike, boycotted classes and arranged press conferences to convey their demands to the government. On Monday, a large number of teachers had also arranged a protest rally in front of the main gate of Pakistan Tehreek-e-Insaaf (PTI) Chairman Imran Khan’s Banni Gala residence in Islamabad. The protesters later dispersed after assurances from the PTI chairman and leaders, while Khan also directed the provincial government to sort out the issue within a week and in accordance with the wishes of the protesters.